AB stone jewelry sets are the perfect accessory for your bridesmaids! AB or aurora borealis rhinestones and crystals will provide wonderful sparkle for your wedding and will coordinate with any color bridesmaid dress! 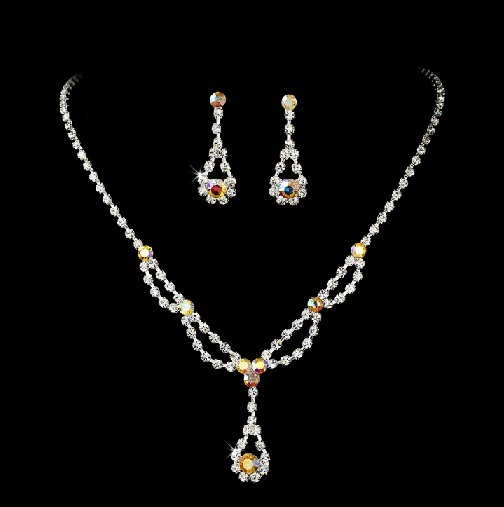 Jewelry sets can be purchased in any quantity - just contact us for pricing. 5 Sets Silver AB Rhinestone Bridesmaid Jewelry with Bracelets - sale!